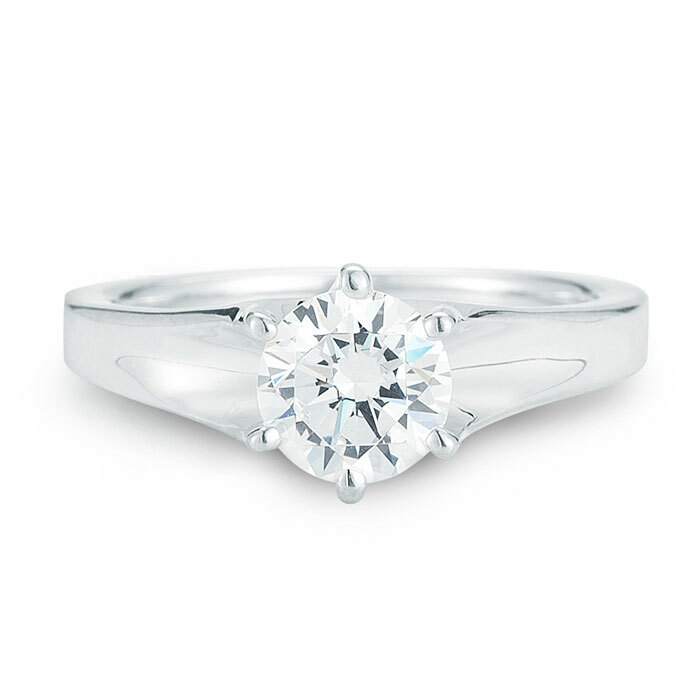 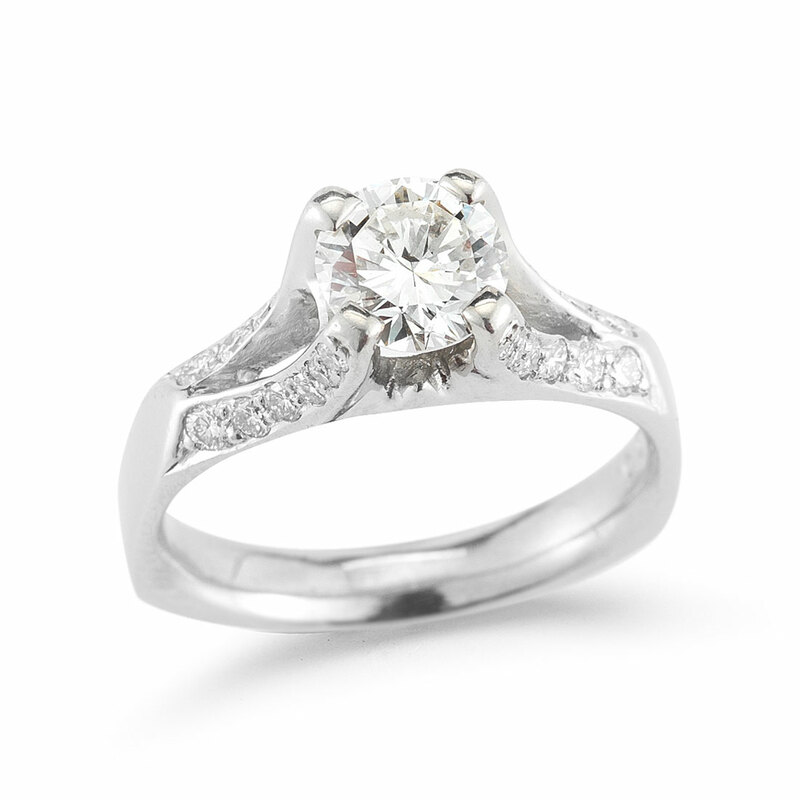 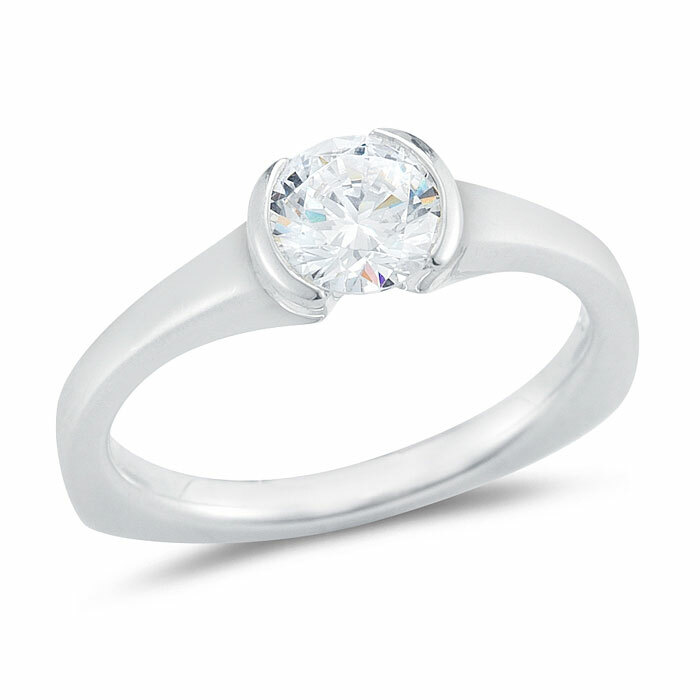 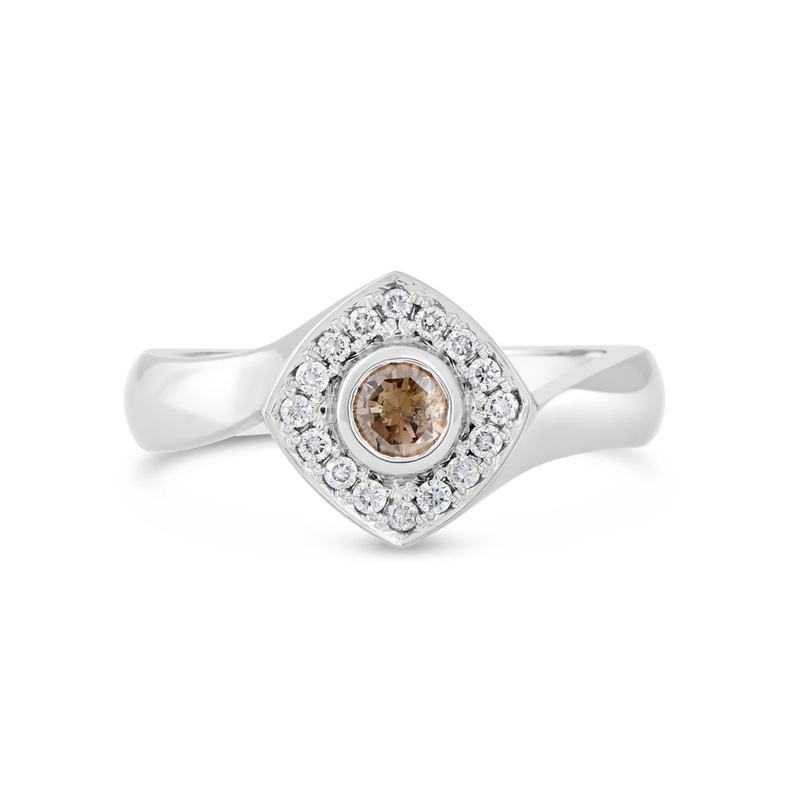 This half bezel engagement ring features the main diamond set in two wraps that taper into the shank. 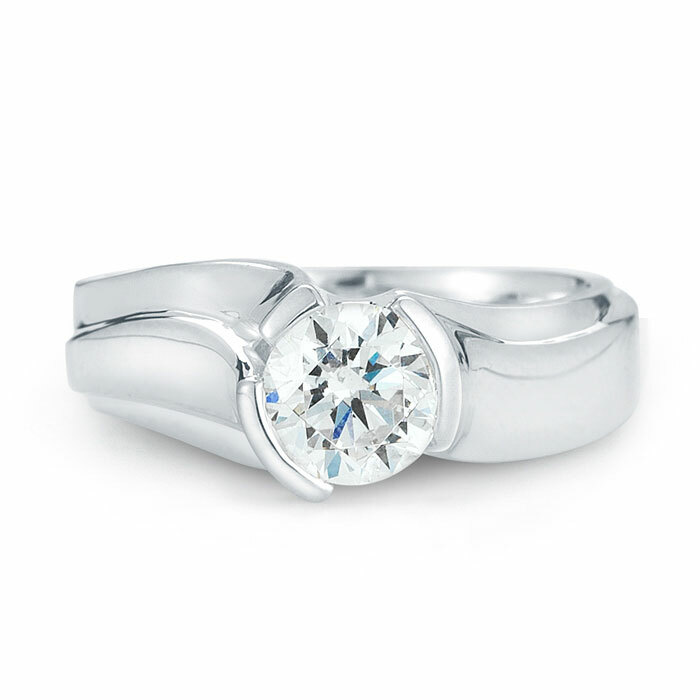 It is designed to allow for a flush fit against a wedding band. 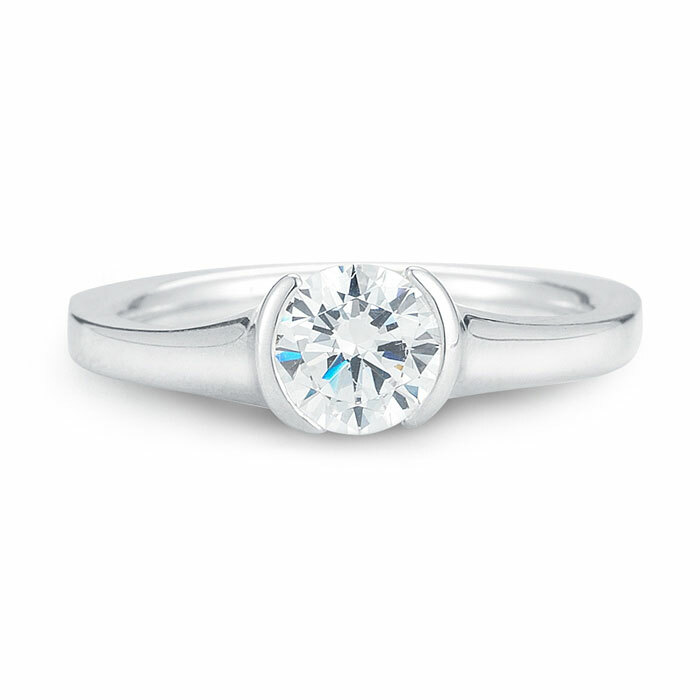 It’s a simple setting that offers something different.